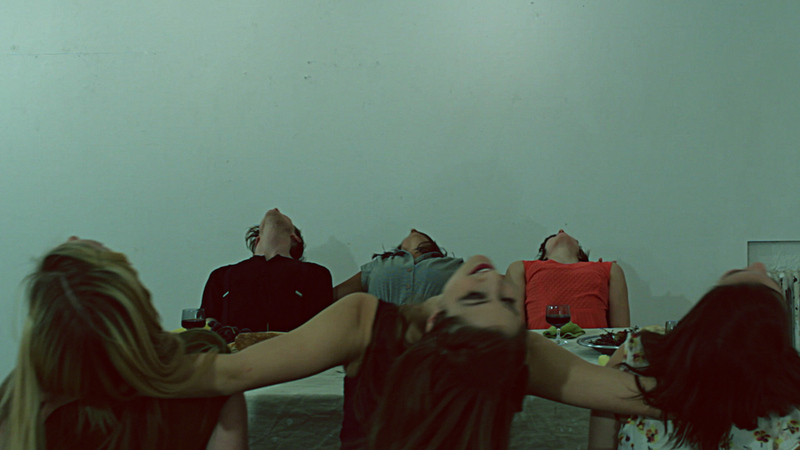 Starring Amy Barr, Monica Basile, Elizabeth Bergman, Daisy McKinlay, Nicole Morford, Jennifer Weber, Alicia Weidner. 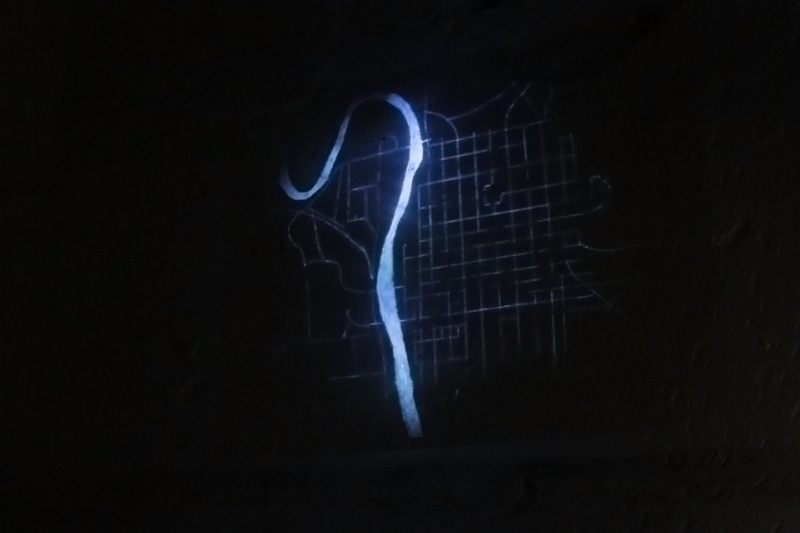 A multichannel sound-and-video installation that explores the history of flooding in Iowa City. First exhibited at Public Space One, October 2012. A multi-artist installation created and curated by Katie Hargrave in the Porch Gallery at the University of Iowa. 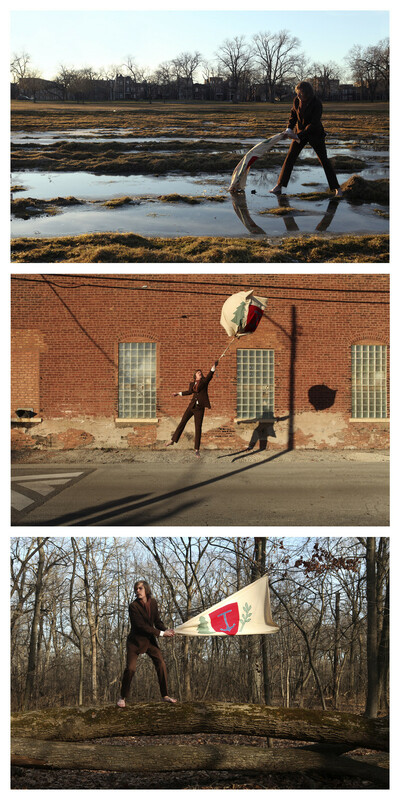 Joshua Dumas and Carl Sweets collaborated to create this photographic triptych for the show. Starring Nicole Morford, with Elizabeth Bergman, Sarah Carusona, Emily Hinkler, Mareva Minerbi, Jennifer Pray, Samuel Summer, Alicia Weidner. Inspired by the work of Tony Schwartz, I Am Saying This Right Now is a mix of memories, scenes, and sound art exploring the human compulsion to document our lives. Directed by: Paul Kastner & Kim Miller. 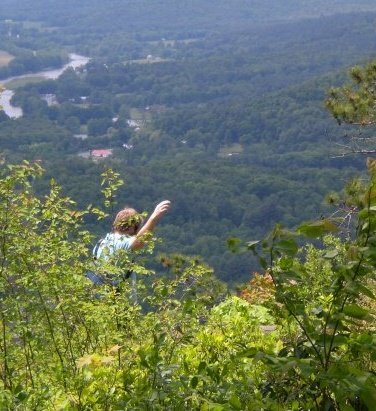 Written by: Sid Branca, Kaitlin Byrd, Jeff Duhigg, Joshua Dumas, James Dunn, Paul Kastner, Brian Michael Lucas, Layne Manzer, Sara McCarthy, Ian Miller, Lindsay Verstegen, Andrea Wallace, and Jessica Wright Buha. Noisy droning art rock. Kate Drown (synth), Richard Hwang (bass), Rob Kowalczyk (guitar), Nathaniel Parks (guitar), Joshua Dumas (drums, vibraphone). 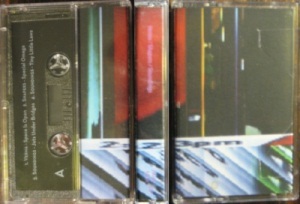 One release, a triple split cassette on Paramita Tapes with Shapers and Verma. Reviews — Tiny Mix Tapes, Weed Temple, Foxy Digitalis, Spicer. Jerzy Rose‘s first feature film, which premiered at the Chicago Underground Film Festival, winning both the Audience Choice and the Made in Chicago awards. 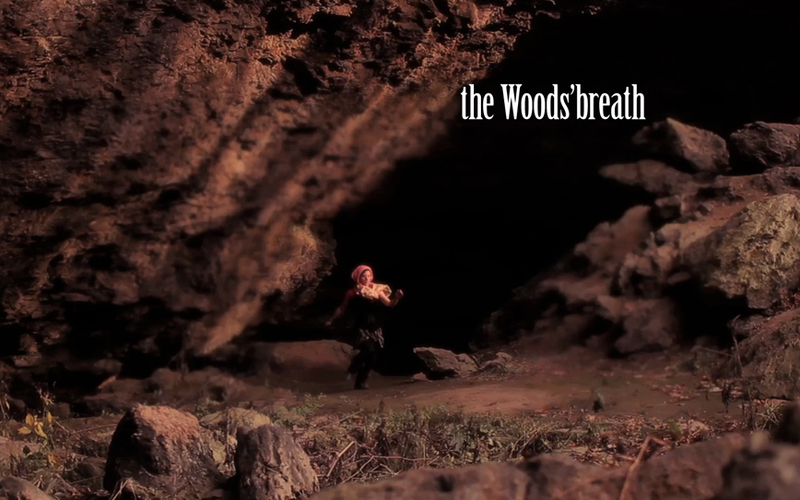 Starring Jared Larson, Mike Lopez, Lyra Hill, Emily Irvine, Halle Butler, Chris Sullivan. Cinematography by Lori Felker. Music by Joshua Dumas. Written and directed by Jerzy Rose. A university has found the leg bone of Amelia Earhart. 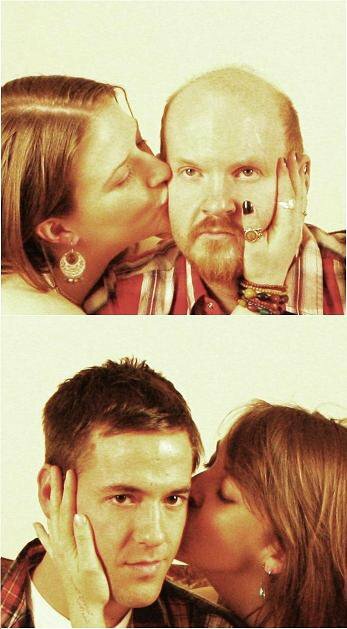 A high school science teacher travels to the underworld to bring back his girlfriend. Animals are arranging themselves into concentric circles. Assumptions are made and hearts are broken. 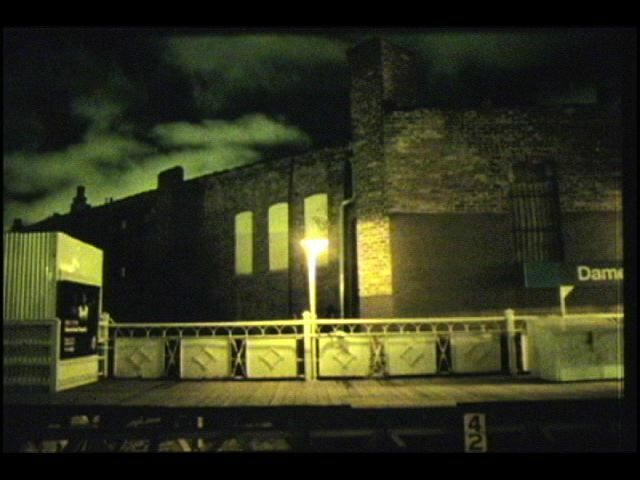 The City in Which is an expanded cinema project based on Chicago poet Li-Young Lee’s “The City In Which I Love You”. 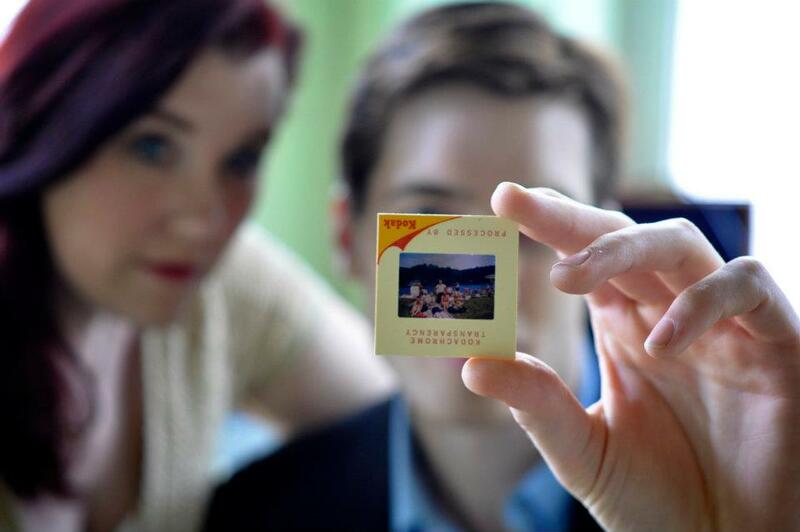 Joshua Dumas and Christy LeMaster distributed fresh rolls of 16mm film to a dozen experimental filmmakers, asking them to respond to the poem and to their own experience of living and making in Chicago. The resulting footage is spliced into a combined short accompanied by a live reading of the poem by Joshua, a performance built from and informed by the filmmakers’ images. Handmade book of photographs of projections on people. Features portraits of Katy Albert, David Amaral, Edward Crouse, Carolyn Faber, Scott Foley, Nicole Ripley, Christy LeMaster, Julia Miller, Nathaniel Parks, Vanessa Reilly-Bates, Max Wirt, Seth Vanek, Shira Zisook. 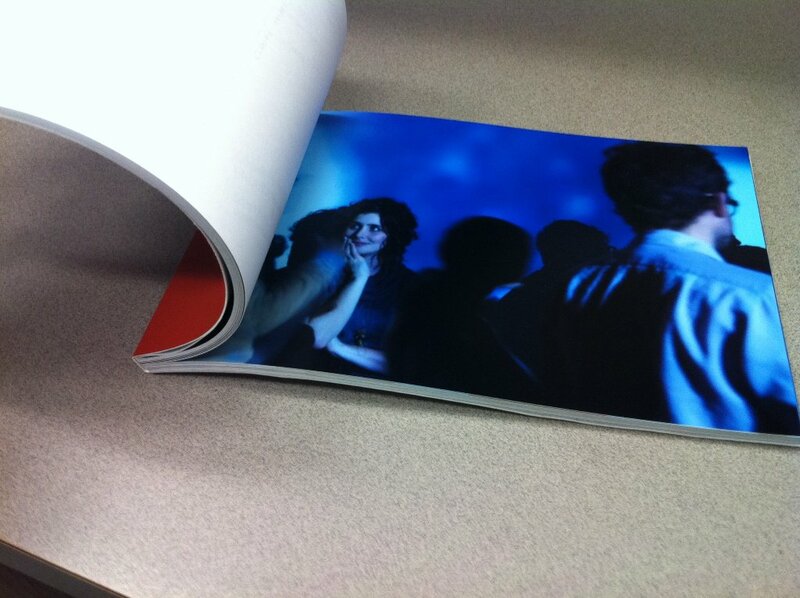 Photographs and bookbinding by Joshua Dumas, camera operation and creative assistance by Kirk Bravender. Light Waves & Their Uses is a new semi-opera based on the life of Albert Michelson. The original production was created and directed by David Amaral, created and composed by Joshua Dumas, and assistant directed by Max Wirt. It was developed, devised, and performed by Daiva Bhandari, Ruth Bistrow, Katy Collins, Anthony DeMarco, Nicole Ripley, Jon Stutzman, and Lindsay Verstegen. 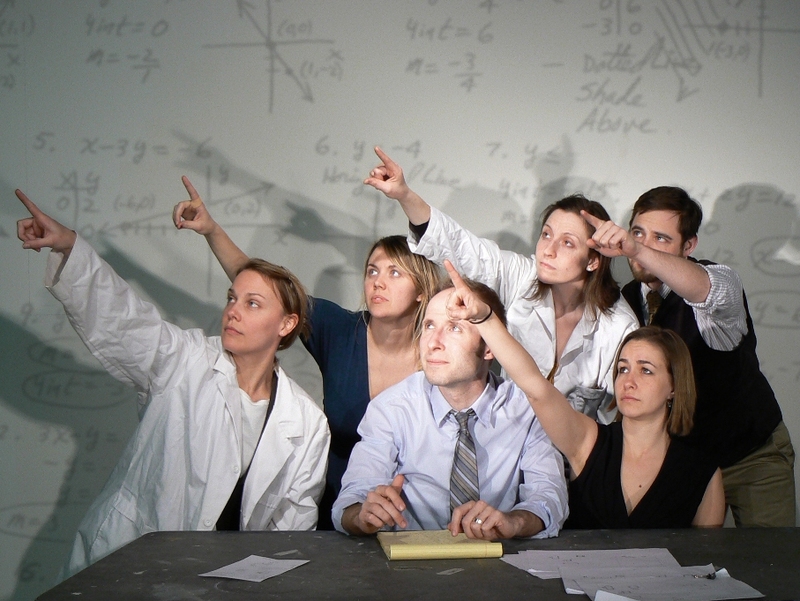 Produced by New Beast Theatre Works, with High Concept Laboratories, at the Building Stage in winter 2011. 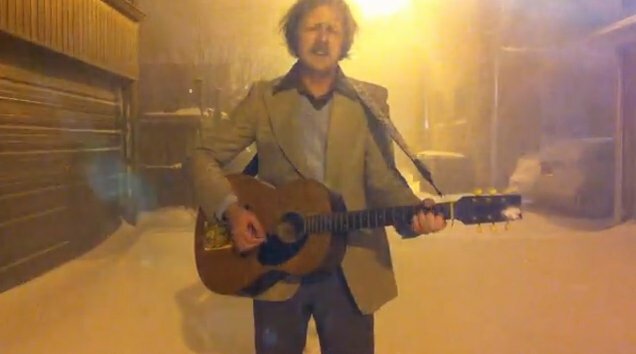 Joshua Dumas makes short videos of himself performing in landscapes, rooms, or situations that influence the performance and contextualize the songs’ meanings. Locations thus far include a blizzard, a bubble machine, and a library’s grand hall. Songs are selections from Dumas’ back catalog, from bands like Notes & Scratches and Townline Road. 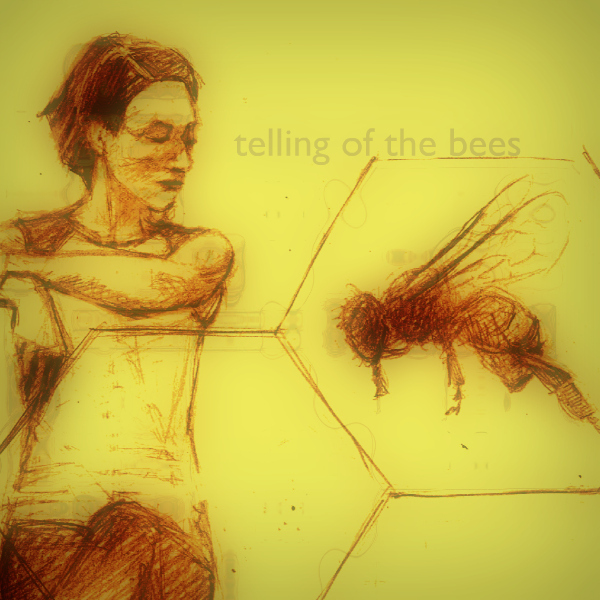 The Telling of the Bees is abstract dance-theatre piece exploring the story of Claire, a woman trapped in a distracting world of screens, cell phones and status updates – and whose home is infiltrated by a swarm of honeybees. Claire’s fate and the fate of the bees are ultimately tied together, as the bees confront, interrupt, aggravate, guide and care for Claire through her everyday life. 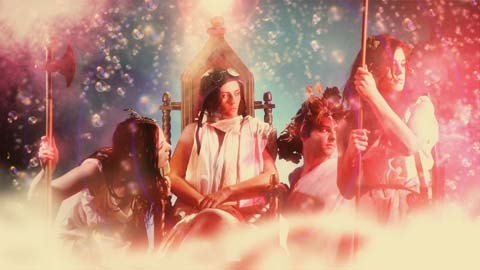 Created by Michelle Milne, with Lindsay Nance, Joshua Dumas, and Ben Jacobs. Music by Joshua Dumas. 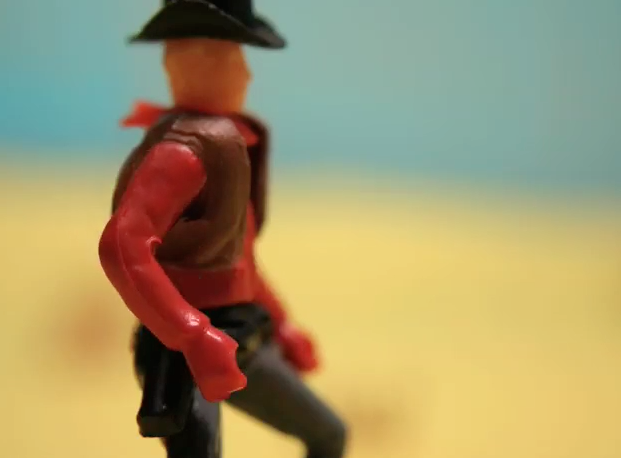 Jeremy Bessoff’s experimental stop motion animation western. Featuring music by Joshua Dumas, Keith Kusterer, Tom McGettrick, Tom Santiago, and Sally Timms. The tragic-comic “Red Rider’s Lament” employs vintage plastic cowboys and construction paper sets to explore the enactment of masculinity in the Old West. The Rider enters the fold just as the West’s dust is settling. His haphazard wanderings cause him to confront manifest destiny and the changes it renders to the landscape and its inhabitants. 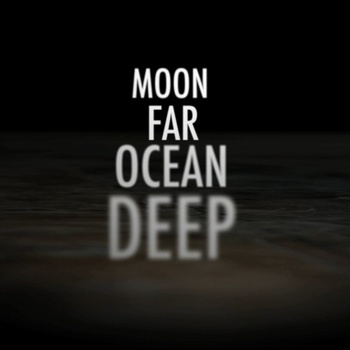 Moon Far Ocean Deep is a new play created and performed by Theatre Run. Members of the ensemble from Switzerland, UK, New York and Chicago worked for ten months via Skype, email, video and audio posts, to conceive and develop this new work. Then after a three-week intensive rehearsal period the company presented the show in a workshop performance at High Concept Labs. Directed by Molly Feingold. Starring Martine Eichenberger, Sophie Fletcher, Marc Frost, Alex Lane and Anne Sorce. Lights by Josh Nelson. Video by Rand Sevilla. Music/Sound by Joshua Dumas. Jason Eckerson and Anika Balaconis and I met up at Mark Temelko and Tina Post’s farm in upstate New York. We set up a tent and built a make-shift music space. We spent our days working outside and in the evenings we played songs and recorded them. Anika made some brushes for the drums out of pine needles, we had a big bonfire, we sang with cicadas and crickets and birds. Drawing from the spare prose of Raymond Carver's “Gazebo,” New Beast presents an original opera that spans memory and imagination via prose, song, and dramatic performance. Devised and Directed by David Amaral. Devised and Composed by Joshua Dumas. Developed and performed by Eddie Bennett, Ruth Bistrow, Pamela Maurer, James Whittington.